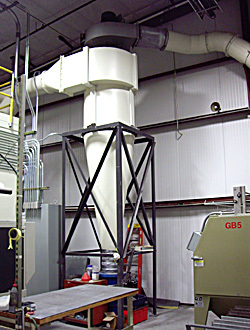 USA The goal of this installation was roughly 75% air pollution control and 25% noise control. With our sophisticated design, outside air was tempered with room temperature air before use - greatly reducing operating costs. Above is the cyclone pre-filter. 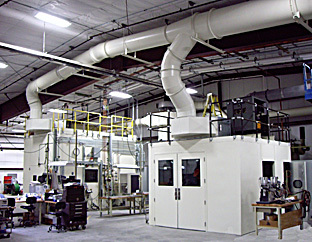 This installation is for a company employing metal spray processes.